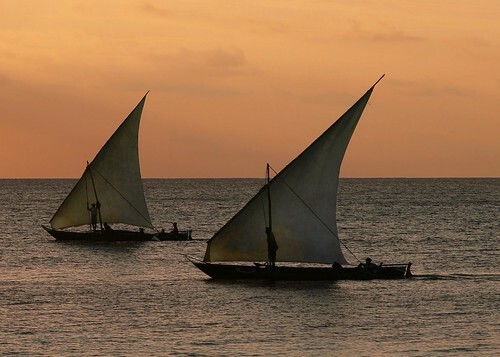 A dhow (Arabic,دهو) is a traditional Arab sailing vessel with one or more lateen sails. It is primarily used along the coasts of the Arabian Peninsula, India, and East Africa. Picture taken in a small village called Nungwi, in the province of Zanzibar, Tanzania.